Musashi Y118 camo is supposed to give 50% bonus exp for commander xp but it's currently not working. Basically I spent 5000 doubloons for worthless ugly camo. 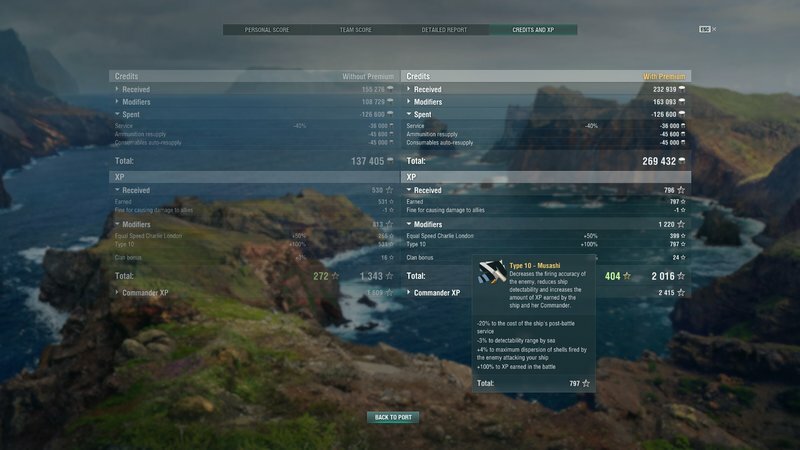 Bonus rate is exactly same as the type 10 regular prem camo. 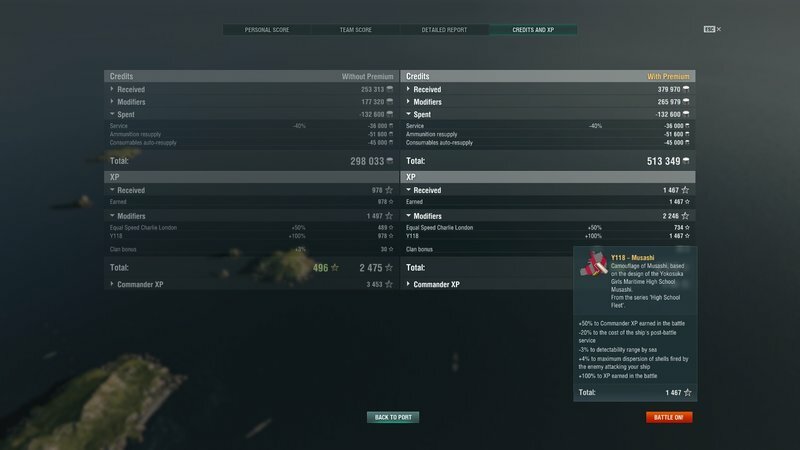 Look in your commander XP section instead of ship XP section. It's at the bottom.